You’ve probably decided your dog’s recall could use a little tune up. Perhaps the puppy that wouldn’t leave your heels has turned into an adolescent with selective hearing. Maybe your adult Fido simply “forgets” to come when she’s occupied. Or recall is just one of those behaviors that never really took hold. In short, if you sometimes feel worried that your dog won’t come when you really need him to, this class is for you. 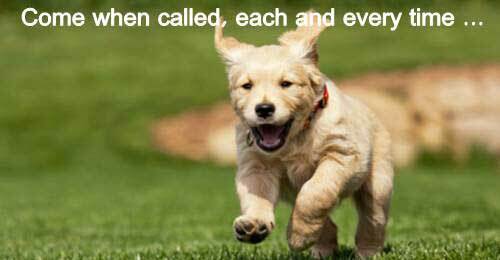 You can teach your dog to come every time you call, even from distractions. Join this class and start building this important skill. The 5 rules that will help you to build a solid recall. How to teach your dog to come even around distractions. How and when to fade out the leash.